On Saturday, May 19, 2012 Karl’s Appliance is participating in the 37th Annual Sparta Day. In conjunction with the Sparta Parks and Recreation Department, the Junior Woman’s Club of Sparta NJ will be hosting the fair and family festival. This event has not only become a fundraiser for local charities, but is also a much anticipated community event. Families will love the “Kids’ Country”, offering various rides & activities for children of all ages. Plus there will be over 100 vendors, rides, entertainment, food and a raffle with an assortment of prizes. Come Visit Us! Karl’s will be located in Section A. 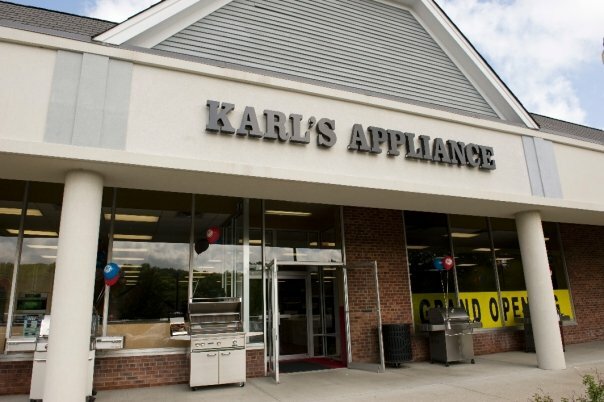 This entry was posted in Karl's Appliance News, New and Innovative Appliances and tagged home appliances, kitchen appliances, NJ appliance store, Sparta Day, Sparta NJ by Karl's Appliance. Bookmark the permalink. When will you have Friedrich CP24G30 24 BTU AC and P 5 sleeve??? George – I spoke to the Friedrich directly and the Friedrich air conditioner model CP24G30 should arrive to us by the end of May.